You will find this report uplifting, encouraging and informative. 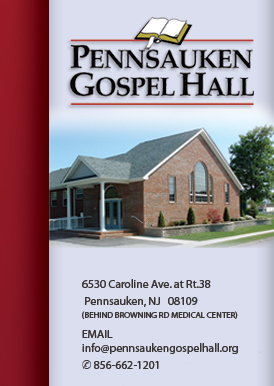 Don Draper, Pennsauken Gospel Hall, NJ kindly agreed to not only submit this report but to share the testimonies of some who were reached through this late-night Bible Study. Notice as you read the report the web of believers and events the Lord uses to bless in salvation and to bless in many other ways. Take your time and read the entire report. You will be glad you did. “WOW, that’s really late!” This is the surprised response we usually get when someone learns that the Friday Night Light Bible Study starts at 10pm and that the study time sometimes goes until midnight! When we began, it was originally intended for an 8-9pm start, but with the work schedule of some and because of the time when most people actually arrived, we shifted to a flexible 10-10:30pm start, so most could get the maximum benefit of the study. It’s definitely not for everyone, but in our area, there are a number of high school and college students whose ‘night owl’ habits make this a good time for them. For young folks, Friday nights are usually late nights anyway and for the unsaved world, the Friday nightlife is just getting started at this hour, so we thought, why can’t we spend it in a spiritual endeavor? It was the Apostle Paul speaking, of course, but he did preach until midnight! While we are careful to make sure no one sits on the window ledge, it is a little example of how we, without compromising principle, can adapt our outreach to the meet the needs and culture of those we’re working with. 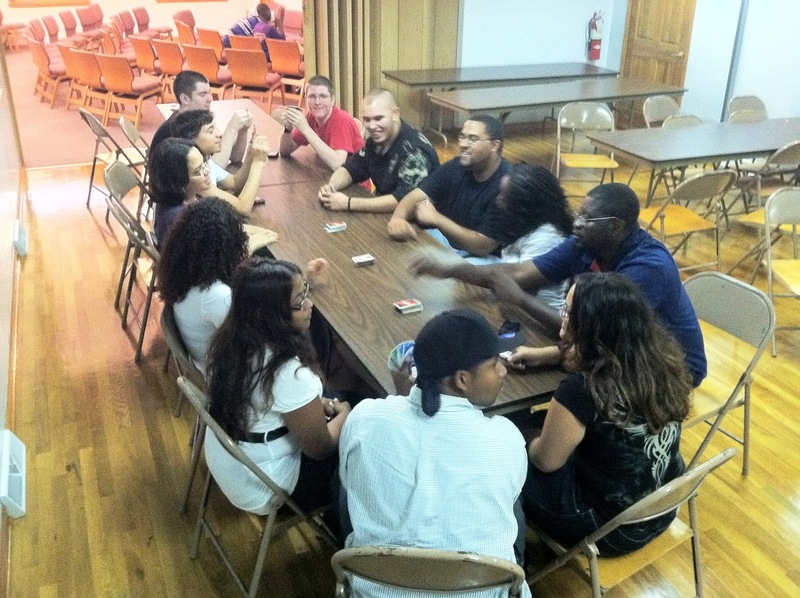 It began in 2008, when we sensed among some younger believers an interest for somewhere to go and something to do on Friday nights that would be a wholesome and enjoyable activity with their peers. We thought that it would be a good opportunity for a serious, in-depth Bible Study where we could analyze books and subjects of Scripture and discuss the many ancillary issues and pressures that confront a young believer in our modern culture. We started with just a few but now we average 20-25 each Friday. Our numbers get smaller during the school year as some go away to university, but we have a regular ‘core’ who have made it a part of their schedule. Others come whenever they can. We have it regularly every Friday night and always stress to folks that they are most welcome anytime - whether that is regularly, occasionally, or sporadically. We sit in semi-circle rows with a white board at the front and try to have a basic outline of the topic to give some structure and direction to the discussion. We usually look at a lot of verses and read the passages aloud with each person having the opportunity to read if they like. This has been the most valuable aspect of our time as individuals are able to see and hear from the Word of God itself the plain teaching of Scripture on many of the subjects we discuss. We assure everyone that there is no pressure to participate. If they have any questions or comments they are most welcome to speak up, but if they would rather just listen, they won’t be singled out. We have done many types of studies from a book study of James, a subject study of assembly truth in the NT, a character study on the descriptions of Christ in Revelation, a topical study of romance and relationships from the book of Ruth, a sectional study of the letters to the 7 assemblies in The Revelation, and now we have started on a message study of the sermons, stories, and sayings of the Lord Jesus in the Gospels. We keep our studies flexible and will go down many a 'side road' whenever a topic of importance or interest arises. One such study from the book of Ruth was a closer look at personal 'convictions'. Recently, in looking at the Sermon on the Mount, (lead us not into temptation) we did a side study on trial and temptation. Another important feature of an informal late night study like this, is that it provides an excellent opportunity for the Gospel. Many have brought along unsaved friends and contacts. While we stress that the study should not take the place of attending assembly gospel meetings, its informal nature seems to provide an initial and a little less intimidating setting for folks who aren’t used to a ‘church’ service. While our studies are primarily directed at believers, we shift 'on the fly' to a gospel emphasis when someone is present who is not familiar with the Bible. As with any get-together, many come and go, but it is always a privilege to share and discuss the Word of Truth with each person. It began with a sister from the Olney assembly in Philadelphia who came over to the study. Alejandra Ramos, who was saved a year or so before, had been encouraged to come on Friday by a sister in her assembly (Raquel Mendez), who had heard about it from another sister in the Barrington assembly (Mariana Becerra). She came and then the next time invited her unsaved friend Johana, who reluctantly agreed after not being able to convince Alejandra to go to a Friday night movie instead! Despite her initial hesitancy, from her questions and comments, we sensed in Johana, somebody who was still searching, even after her experiences with other religious ideas. We quickly shifted our conversation to talk about salvation as God’s gift and why it is received by faith and not by works. In the weeks to follow, the Lord graciously blessed His Word in salvation to Johana and then also to another friend, Pamela, who came along as well. Johana is now a part of the Pennsauken assembly. It has been a wonderful reminder of the Lord’s sovereign purpose in using a chain of faithful believers, circumstances, and opportunities to bring individuals to Himself. Safira – One of our most faithful attenders to this very day is Safira, who the Lord brought our way through her sister-in-law Leslie Robles from the Barrington assembly. Leslie had been a very faithful witness to Safira, but it was hard to get her to gospel meetings. One night, Safira came to Friday Night Light and stayed until 1AM with a lot of questions. From then on, almost every Friday she has come faithfully and brought her 2 young children along too. Her husband Kenny started coming as well, arriving after his Camden barbershop closes for the night. One Friday night in February of 2010, when we were in the middle of getting 2 feet of snow, Rob McMichael and I were ready to ‘call it a night’, since many had ‘chickened out’ and decided not to come. As we were about to hit the lights, suddenly, the front door burst open and in from the blowing snow came Safira and her kids. She was ready to study! With that kind of commitment, we were encouraged not to give up and to have the study as often as we can, even if only a few attend. Actually, sometimes the smaller studies can be better, as folks feel a little more comfortable to open up in discussion. Safira continued to come regularly and also started attending the gospel meetings at the Barrington assembly. It was through the preaching there that the Lord spoke to her one Lord’s Day evening and brought her to salvation. 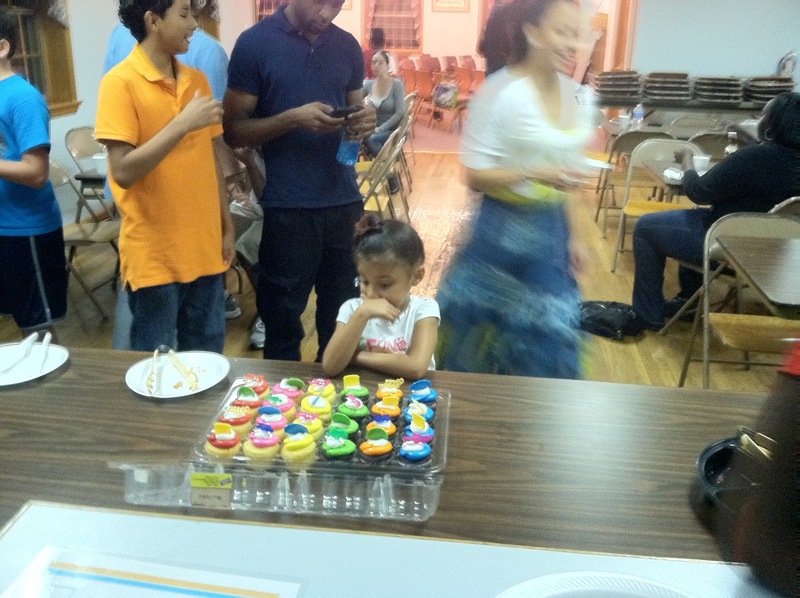 Since then, Safira has invited and brought many of her family and friends to the Bible Study as well. Annliz –She had come to our Sunday School with her sister since she was a little girl and continued into her late teens. We met her family initially through a Seed Sower distribution by a couple of local brothers, Pete Higgins (Pennsauken) and Andre Bodden (Barrington) 10+ years ago in the city of Camden. Her years of hearing the truth presented in Sunday School lessons from Jill, Beth, and Susanna proved effective as Annliz began thinking very seriously about what she had learned. One night, after starting to come to Friday Night Light in the fall of 2011, we got into a long discussion after our study about what the Bible teaches concerning the Lord’s coming and the future for our world and each of us as individuals. After getting home and impressed that she wasn’t ready for that coming world, Annliz stayed up late, searching the scriptures for herself. At about 3am the Lord used His Word to reveal to her His marvelous way of salvation through the Lord Jesus. Despite some heavy resistance, Annliz has been a bright testimony to her family and friends. 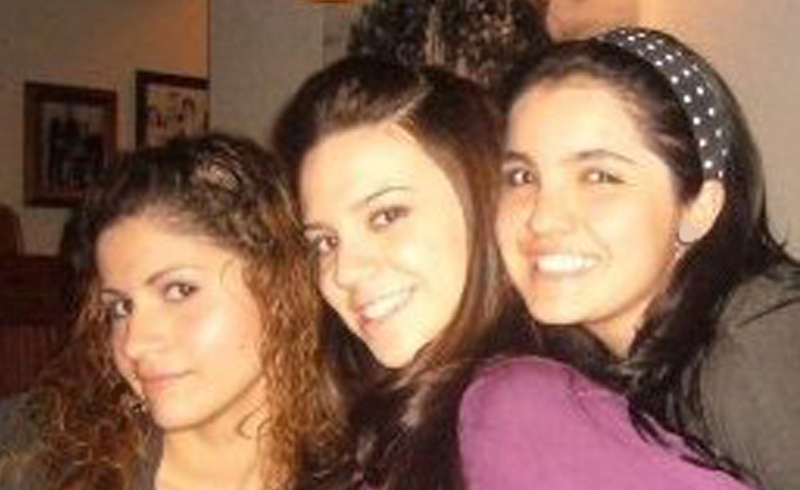 Tragically, in November of 2011, Amarylis, Annliz's 20 year old sister, passed away very suddenly. She also had come to our Sunday School for our many years, had started coming to the Friday night study with Annliz. She was at our study the night before she experienced heart failure from a thyroid problem and lapsed into a coma from which she never recovered. Because of Annliz's testimony, she had started asking questions about being saved. That last Friday night, when we dropped her off, she asked what the lesson in Sunday school was going to be that weekend. The subject was: "What happens after you die?" Amarylis never made it back to Sunday School and passed away the next Friday. We miss her greatly and are thankful for what she learned of the gospel and saw in her sister’s conversion. We can only hope in her final days, the Lord graciously saved her. Faith, food, fun, and friends is how we would generally characterize the nature of our little study. 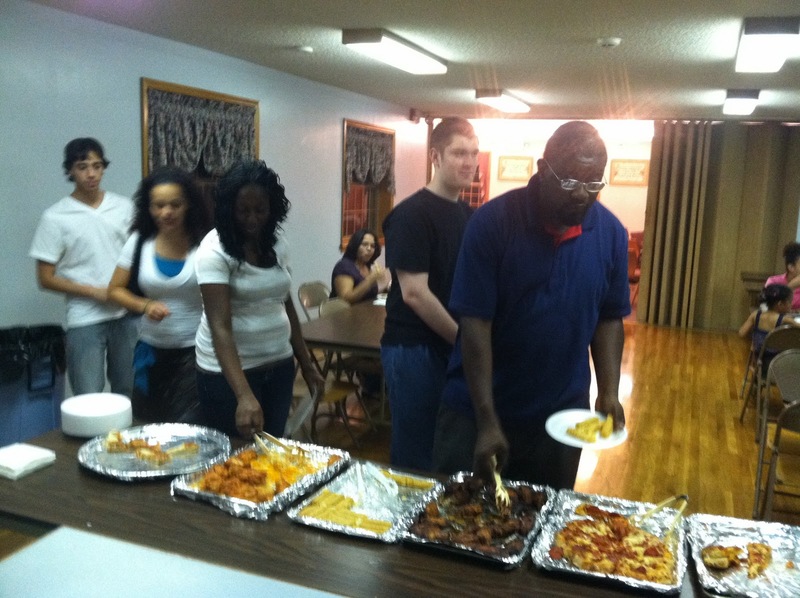 While the emphasis is on the Bible study, first and foremost, sometimes lasting 2 hours, it is always an added incentive to have some good food including pizza, wings, fruit, and chocolate chip cookies. Occasionally there is also some hymn singing and usually a good game or two or three or .... of UNO (our own unique Jersey version!). These all top-off a profitable, positive and enjoyable time together. Yes, usually the lights don’t go out at the hall until 2AM, but this is the time when this group is awake and available, so we adapt and are glad that the Word of God can be opened and discussed, questions addressed, and impressions made that we pray can be used by the Lord for the blessing of souls. Because some with children found the late night study difficult to attend, we also started an early study for younger ones from children to mid-teens. This study is the same format, but much shorter and with a complete gospel emphasis. We have been doing a systematic study of the 'big stories' in the Bible, going through the OT and now the NT, and trying to show the connection. The kids in this group are primarily contacts that sisters (Mariana Becerra and Samia Abdul) in the Barrington assembly have developed through their visitation in a nearby community and also through personal friendships. There is a snack for the kids after, as we shift gears and get ready for the late study. If you would like more information contact Don Draper. My name is Alejandra. I was born in Colombia, South America. From a very young age I knew there was a God. Growing up as a Catholic, I was told that I had to be a good person to reach the kingdom of God. To me it was as simple as following the sacraments and being obedient to God’s Word. I was also very involved in the church activities and followed their regulations. I attended church every Sunday, but when I had to confess my sins to the priest, I never felt like God had truly forgiven me. There was always a lack of peace. A year before coming to the United States, I met a young girl, who called herself a Christian. She was different compared to other girls in my class. We became very close friends and I started going to her house. Many times her mother would invite me to go to church and hear the Word of God. While I never had any intention to go and always said no, deep inside I knew I was missing something they had. Little did I know it wouldn’t be in Colombia where God would make things clear to me; He had another plan. 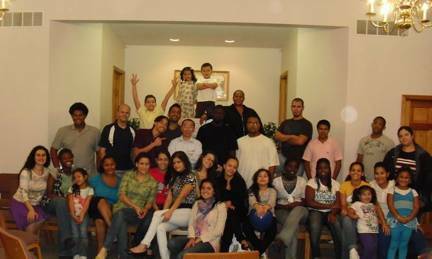 A couple of months after moving to the USA, I was attending a public high school in Philadelphia, where my Spanish counselor invited me to some gospel meetings. Without knowing what these meetings would be like, my mom and I were more open this time and we said yes. While attending the meetings, I was able to meet Melvin and Rachel Mendez. Rachel was very kind and persistent and she kept inviting us to more meetings. As we continued to attend the meetings and established a good friendship with the Mendez’s, it became clear to me that my relationship with God was broken. The reason I came to this conclusion was because many times when Melvin talked about the things that God did not like (sin), I felt guilty; I felt like I had failed Him over and over. It was clear to me that I was a sinner, and needed to accept Jesus as my Savior. It all came to a head on the day of the funeral of Lucas Santos, a young teenager from the assembly, who died very suddenly. It was in 2008, a month before I graduated from high school that the veil of blindness came off and I was able to see with new eyes what the Lord had done for me. That evening, David Curran and Melvin Mendez preached the gospel at the Santos’ home. While listening to them, I was still very shocked from the sudden death of the sweet and adventurous Lucas. Many thoughts were going through my head and I just started thinking about my own death and my brothers and I started questioning if I was ready to die or not. I started to cry and couldn’t stop. I was devastated, mostly because I knew that I didn’t want to die without accepting Jesus as my Savior. I knew that if I died at that moment I would go to hell because of my sin. After the meeting was done, I told both preachers that I wanted to talk to them. The three of us went to the porch and sat down to read some verses from the Bible. Through my tears, I understood from God’s Word that there was nothing I could do to get to heaven but that God sent His only begotten Son to die for me and “that whosoever believeth in Him should not perish but have everlasting life.” John 3:16. Thankfully, that was just the beginning of the Lord working in my life. He not only saved my soul, but He began to show me that He wanted me to make Him the priority of my life. After starting college, I began to distance myself from the Lord, but during the summer of 2009, I promised myself that I was going to get baptized and join the assembly before starting the fall semester. I prayed without ceasing for guidance so that God would restore me and bring me back on track spiritually. Soon after, He opened the doors and I was able to fulfill my promise. After that, my ongoing desire was to learn more and become a living testimony to my friends. It was at that time that Rachel Mendez told me about the Friday Night Light Bible Studies at the Pennsauken Gospel Hall and I decided to attend. To my surprise, after I started going to the Bible studies, my two best friends from high school, Johana and Pamela, also showed an interest in attending the studies. It was there that both of them realized that they too needed a Savior and were saved by God’s grace. After so many years of knowing each other, I never imagined that God was going to bring us even closer together as sisters in Christ. I am grateful for what He has done in each one of our lives and I pray that He may protect us and preserve us for His honor and glory. Weekends are the period between the close of one week of school or work and the start of the next; most people anxiously wait for the weekend to provide an impulse that would generate enough amount of energy to get us through the following week. The thrill, excitement, or motivation can come by different means such as watching movies with friends, or having a family dinner. My point is NOT to describe Fridays, Saturdays and Sundays as the FUN days of the week, but I would love to share with you how my weekends went from superficial satisfaction, internal emptiness, and deep dependence on people to peace with God and spiritual growth along with fellow brothers and sisters in Christ. The best part is that I didn't have to do anything!!! It was all done for me!!! it was all paid in full!!! it was free!!! God revealed to me that He had a better plan and purpose for me than just getting me through week by week with an exciting weekend in between. Today, I anxiously wait for Friday Night Light Bible study to close my week of school/work because of the spiritual food it provides for me. Matthew 4:4 “... Man shall not live by bread alone, but by every word that proceedeth out of the mouth of God.” Pennsauken Gospel Hall offers spiritual food for those who are seeking God’s truth. Today, I anxiously wait for Sunday because I know that there is nothing more joyful than the Breaking of Bread to remember the sacrifice of Jesus Christ at the cross for ME. I was born and raised in Colombia (South America) as a Catholic by not very religious parents. I was baptized as a baby, I attended Catholic school and did my first communion when I was 10 years old. I always believed in God but never really had an interest to establish a closer relationship with Him. Overall I was a good friend, sister, daughter, student, and I thought God would give me credits for being good to society. During the middle of my teenage years I came to Philadelphia. I was struggling with self-esteem issues, the divorce of my parents, adjusting to a new country, city, culture, language; working at a very young age, and taking over responsibilities in the house to cover the absence of my father. Thankfully, everything wasn't BAD! God was working in His miraculous ways and making connections without me knowing it. The Lord brought Alejandra Ramos, a Colombian girl my age with the same background and struggles into my classroom, at Lincoln High School. We became great friends and today we are sisters in Christ. Alejandra and I always went up to our counselor Mrs. Estela (Spanish speaking lady from Panama) with questions about classes and credits; our conversations were long and included religious beliefs. One day Mrs. Estela invited us to her church meeting, but Alejandra and I worked every Sunday therefore we never did attend, however Alejandra's mother did go once and enjoyed the service. Eventually, Alejandra started to attend meetings every Sunday with her mom, they met Melvin and Raquel Mendez, Mariana Becerra, Samia Abdul and many other Spanish brothers and sisters with a burden for the salvation of souls. Years went by and Alejandra and her mother trusted Jesus for salvation, got baptized and joined fellowship at Olney Assembly. All these events took place, yet I still wasn't grasping much about my Creator and Savior's love for me. Surprisingly, I did not have anyone to go to the movies with, so I took Alejandra's offer. The Bible study had already started when we got to the hall; on the board, in red ink, were the words: ‘The 4 Gospels’. Throughout the discussion I was very lost because I did not know what the word gospel meant. After the meeting, everyone was very welcoming, food was great and games were fun. I left with questions that night and went back for answers the following Friday. Those answers brought more questions, and from question to question, I noticed my need for salvation. My interest started to grow and Friday night Bible study became the place where I wanted to be every Friday. John 1:12 says,"But to all who did receive Him (Jesus), who believed in His name, he gave the right to become children of God". This verse made a difference for me on October 18, 2009, when I understood I was created by God, but I was not His child because I had not received Him. That night I appreciated Jesus Christ who became flesh; He came into the world and gave Himself as a sacrifice to save me. The One who knew no sin yet became sin for me. I rejoiced because His blood cleansed me. I understood the meaning of love and I'm glad that I can say I love Him because He first loved me. The only wall that separated me from God was my sin; I accepted that although I was good to society by my own moral standards, I was still a sinner before God. I repented and received the Holy Spirit; I was given eternal life, and a purpose on earth, although I did nothing to deserve it, neither did I earn it with good works. It was through faith that I could now see and it was by grace that I was found. It was all done for me!!! It was all paid in full!!! It was free!!! AND HE CAN DO THE SAME FOR YOU!!! Shortly after my salvation, Pamela Richardson (my best friend for many years) also trusted Christ and she has been able to testify of her faith through many trials. Thankfully, I now know God's miraculous ways and that He continues to work and to save others. He can do the same for you. HE IS KNOCKING, OPEN THE DOOR AND LET HIM IN!!! Growing up, my family and I had moved around at least fourteen different times, throughout three different countries. I have had the chance to meet so many people and learn about so many different ways of life, but over those 21 years of my life, nothing can compare to October of 2009. Though I did not have a very religious upbringing, my mother had instilled in my brother Spencer and me that a God did exist, and we were His creation. I considered myself a Christian, simply because I celebrated Christmas and Easter. But when it came to Jesus, I never understood what He did, or who He was. When I tried to read the Bible, it seemed almost foreign to me. When I tried to make an effort to pray, my prayers seemed empty; I didn't believe they were being heard. I hesitated a lot with my purpose in life. Because of all the moving, I always had a sense of instability and I thought of this as the blame for the emptiness I felt inside. I considered myself good - morally and ethically. I tried my best to do what I thought was right and I always felt a need to please others. I yearned badly for people to accept me into their lives. While I made friends at each place I moved to, nothing seemed enough. I encountered more heart-breaks with friends, more rejection from my family, and more failure from myself. My priorities bounced from friends to school, but my priorities always seemed insufficient. The older I got the more I understood that I needed something to fill the emptiness I had in my heart. I felt unsatisfied and alone, even when I was surrounded by people who cared for me. I felt depressed at times, and hopeless. I depended on material things to bring joy to my life. Though there were plenty of times that I thought life was great and I had everything I needed, yet I knew it wasn't enough. I began to search for God, but I just didn't know how to get to Him. I searched for Him through meaningless prayers, different churches, even different religions. I was seeking for an answer - an answer to my question: “What should I do?” Little did I know then of what He had done for me and what He was doing for me. 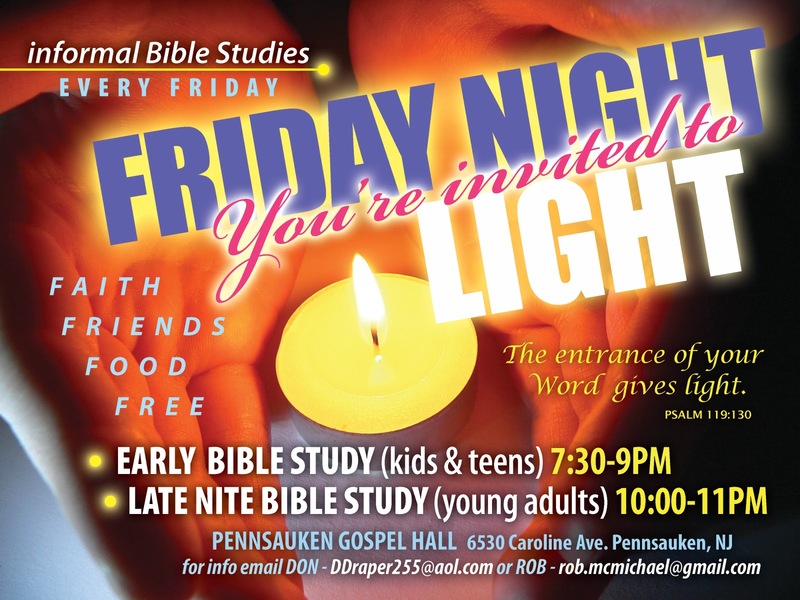 My two best friends, Alejandra and Johana, began to attend a Friday Night Light Bible study at the Pennsauken Gospel Hall. During this time, I was in the process of converting to another religion. I believed that I finally had it! I found God. I thought that by converting to a religion and practicing the religion I would have a link to God. I didn't feel a need to go to the Bible study. But I wanted to know why my friends spent their Fridays at a Bible study, so I went to find out. It was at the Bible study that I sat through one of the most confusing times of my life. Nothing made sense... written on the white board was just one word: SALVATION. Throughout the whole Bible study I kept repeating to myself in my head that I didn't have anything I needed to be saved from! There was no way that my little sins would cause me to go to hell. I started to compare myself to people who I thought were worse, and in a way, I was looking for explanations to confirm that my sins were not as bad as the sins of other. I never did any wrong to anyone. I went home that night saying to myself and to my friends that I had no plans to return. A week followed and I began to question myself. I began to feel that I wasn't so sure about the path that I was on. What if I were to end up in hell? And how does Jesus fit into this? Why did they say that Jesus died on the cross for me? I never understood what Jesus’ purpose was and why He was crucified. I didn't understand why at the Bible study people were speaking of Jesus as their Savior. I began to read the Bible, but this time, I read the Bible to learn about Jesus. During this time I was reading two different doctrines that both claimed to be the Word of God. But slowly I found myself reading the Bible more and asking more questions about Jesus. After a couple of weeks, I knew which path I needed to follow. I knew that I needed salvation, but I struggled with how I would become saved. My prayers were constantly pleading to God to show me what to do to be saved. I was frustrated, but then the week before my 21st birthday in 2009, I realized that I did not have to do anything; it was already done. I learned that because of sin, we are separated from God, but through the sacrifice on the cross of the Lord Jesus Christ, we are able to receive the greatest gift - one that we can’t even place a value on. Christ had died on the cross for MY sins. He endured all the pain on that cross to provide me with salvation. Salvation saved me from my sins, and allows me to have a personal relationship with God - one that I had been constantly seeking, but never found, until I opened the Bible, the Word of God. It amazes me how close I had come to turning away from the greatest truth of all time. The exact month that I had decided to convert to a religion that completely rejects the truth of Christ, God managed to bring me to a place that for the first time told me who Christ was and what He had done for me, and for all others who receive Him. All along I thought I had been searching, but the Lord had been working at my footsteps. My life went from a life without meaning and loneliness to a life with a purpose and a personal relationship with God. Hey Guys, its Ken. I just want to say that I really love having bible study with you guys. Most of the time I'm beat tired from work all day and my body is begging for rest, but I need to drink of that water that I may never thirst again. Living water. I'm learning a lot and have a better understanding about the word of god. And I encourage everyone to join us.I don't think you can just read the bible and understand it. Even if you listen to preaching. I believe we also must be taught. Teaching the word of God is a key ingredient to help us walk in light and help us spread salt. Hey everyone its Dan i only started going to bible study a few months ago but i really love it and it has taught me so much about having God in my life and helped me with my salvation. God Bless Everyone!